Night sharks Carcharhinus signatus have suffered large declines in the western Atlantic Ocean, and while fishing mortality has slowed and populations stabilized in the northwestern Atlantic, they are still captured in high numbers as a targeted and bycatch species in the southern Atlantic Ocean. Considered one of the top five most vulnerable stocks in the Atlantic pelagic longline fishery, few records exist for this large-bodied species in the western Caribbean, and nothing is known about their movements or migration in the region. We found that mature night sharks occur in the western Caribbean from March through November and juveniles contribute to artisanal fisheries in the Guatemalan Caribbean. A seasonal aggregation of night sharks occurs at Glover’s Reef Atoll, Belize, in the summer months, possibly for mating purposes, making this a potentially important site for the species. We also document the first recapture of a tagged night shark in the western Caribbean, a subadult male that was tagged in northern Belize and recaptured after c. 60 days off Havana, Cuba. This recapture suggests that individuals undergo large scale movements, and coupled with known threats from fisheries, a regional approach for this species’ management is favored. We are grateful to the following funders for their financial support of this work: The Mitchell-Petersen Foundation, Save our Species, the Save Our Seas Foundation, The Oak Foundation, The Whitley Fund for Nature, The Summit Foundation, and The Rufford Foundation. This work would not be possible without the traditional fishers and captains who conducted field work, including Evaristo Muschamp, Rene Lima, Marcus Alamina, Evan Cuevas, Dwayne Garbutt, and Gustavo Bacab. We also thank the Belize Fisheries Department for their support of this work. Fishery-independent sampling in Belize was carried out under Scientific Research Permits 000009-16 and 000013-17 and in Honduras Resolución-DE-MP-136-2016. We are grateful to the fisher community of Quetzalito, Guatemala for their support of this research and to Josué Ayala and other local volunteers who assisted in/conducted landings surveys in Guatemala. 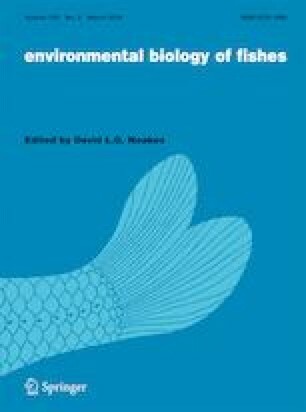 An anonymous reviewer provided excellent suggestions that improved the quality of the manuscript, and additional fishery-independent capture data were provided by reviewer Demian Chapman. Simon JB Gulak designed and constructed the fishery-independent gear and conducted field work and Samuel RD Owen designed and built the deep water BRUV.